San Francisco is renowned for its diverse selection of restaurants and bars. Plan a romantic weekend in the city and explore a range of mouthwatering flavors, including fresh seafood, seasonal farm-to-table fare, burgers, wood-fired pizza, grilled meats and sushi. Start your day with freshly baked pastries at one of the city's favorite bakeries, followed by a casual lunch between sightseeing stops. 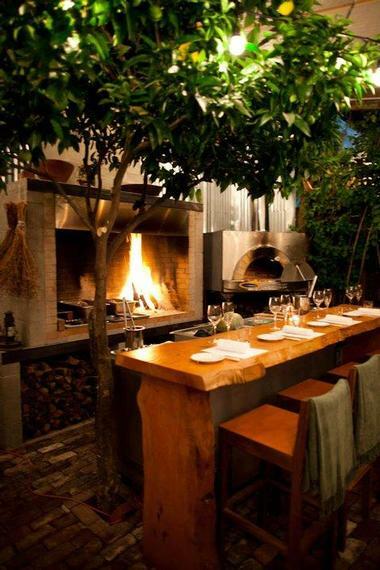 End the day with a romantic dinner at one of the best romantic restaurants in San Francisco. Enjoy a modern take on traditional Izakaya-style dining at Pabu Izakaya, one of San Francisco’s most renowned Japanese sushi bars. In addition to Chef Ken Tominaga’s award-winning sushi and sashimi, the menu also features delicious dishes such as the Soy-Braised Lotus Root or the Monterey Squid Okonomiyaki. 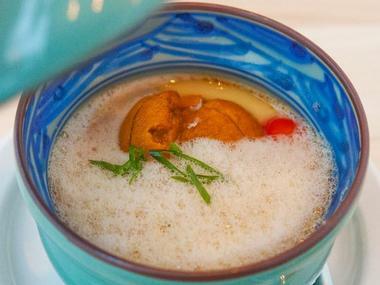 They also offer an Omakase menu and handcrafted cocktails such as the Ume Be Right. Chef Tominaga is a Tokyo native who also owns Hana Japanese Restaurant, so he has quite the impressive resume. He opened Pabu Izakaya with long-time friend and fellow restaurateur, Michael Mina. You’ll find them on 101 California Street, a popular destination in San Francisco’s Financial District. Finding an interesting, innovative, and hot new restaurant in San Francisco’s Mission District is not difficult, but sometimes you’ll find one that stands out. Lolinda is an Argentinian steak house where Argentina’s world-famous beef-based cuisine receives an avantgarde California twist. The large two-story dining room with exposed brick and a high ceiling is beautifully decorated with select Argentinian antiques and massive chandeliers. There are several distinct dining spaces, from the large bar to the long communal tables. If you want a quiet dinner, ask for a table upstairs. Try not to miss anything, as eating at Lolinda is an experience. Start with fresh, spicy ceviche or hot croquetas and indulge in traditional Argentinian beef dishes such as matambra or tira. The delicious peanut mousse makes a perfect ending. The wine list is large and excellent and their cocktails are innovative and delicious. For some more fun, go up to the roof, where the El Techo bar serves great cocktails amidst fantastic views. Commonwealth is known for its exceptional farm-to-table fare, where Executive Chef Jason Fox exquisitely prepares an array of harmoniously flavored dishes. The restaurant has an outstanding wine list where you will find the perfect addition to your meal. You can order from the six-course tasting menu or enjoy something equally spectacular from the a la carte menu like Popcorn Dumplings or Smoked Pork Cheeks (in a peach mole). The restaurant embraces the definition of its name and is deeply committed to its community; they donate $10 from every tasting menu order to local charities. 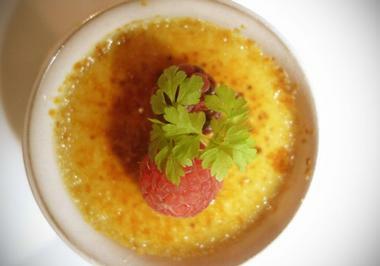 If you are looking for top romantic restaurants in San Francisco, this is a great place to try. You’ll find them in San Francisco’s hip Mission District. Enjoy a celebration of rustic cuisine at San Francisco’s Cotogna restaurant, where the Italian-inspired menu changes daily and is comprised of regionally sourced, spit-roasted or grilled meats and fish, house-made pastas, and wood-fired pizzas. You can try amazing dishes like Summer Squash & Front Porch Farm Polenta, Burrata with Plum Mostarda, or Wild Nettle & Chestnut Honey Tortelli. They also serve fabulous wines and cocktails. Chef and restaurateur Michael Tusk manages Cotogna, and he also owns Quince Restaurant, a local favorite in fine dining establishments. You’ll find Cotogna in historic Jackson Square. Check into one of these beautiful hotels and inns on your trip to Things to Do in Los Angeles. La Ciccia restaurant specializes in authentic Sardinian cuisine. You can enjoy dishes such as the Frega cun Amizzioni e Sumini (Fregola tomatoes, sea urchin, and smoked pancetta) or Pezza de Angioni a sa Saba (seared lamb tenderloin taliata drizzled with saba). They also boast an impressive wine list comprised of 180 labels. Husband-and-wife team Massimiliano Conti and Lorella Degan opened the restaurant in 2006 and continue to let their love and passion guide their approach to running their restaurant. 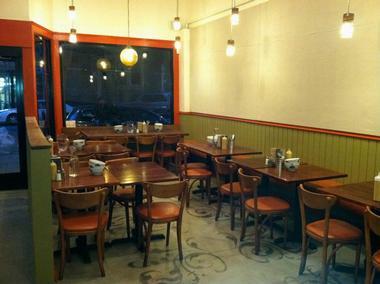 La Ciccia is located on the edge of Noe Valley. 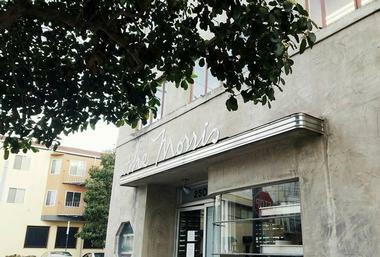 The Morris is a cool, modern neighborhood restaurant in Potrero Flats in San Francisco’s Mission District. With a glass-fronted wine cellar and a large map of the Bay Area as the only décor, the guests can focus on what really matters – fabulous food. The menu is sophisticated Californian with elevated comfort food, if you can call smoked duck aged for four days comfort food. There is also a tartine served with crusty bread baked at the neighborhood bakery, pork cracklings with Aleppo pepper and honey, and grilled squid drenched in chili and lime dressing. The wine list is extensive and excellent with regional and international wines. 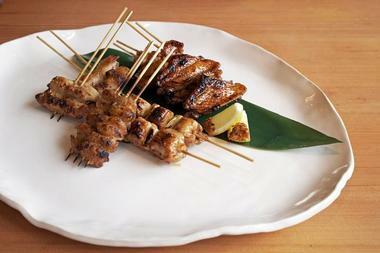 Umami restaurant is an Izakaya-style Japanese tavern that serves sushi and other types of beloved Japanese cuisine. The chefs collaborate with sellers at Tokyo’s Tsukiji Market to bring the freshest sustainable fish and seafood to Umami. 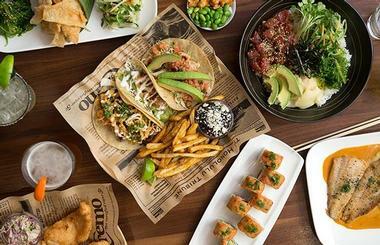 Try something from the Omakase menu (the chef’s tasting menu) or enjoy delicious dishes such as the Ahi “Poke” Tacos, “The Original Umami” Sliders, or the Dojo Roll. The same people who operate The Tipsy Pig, Mamacita, and Padrecito, all located in San Francisco, manage Umami. 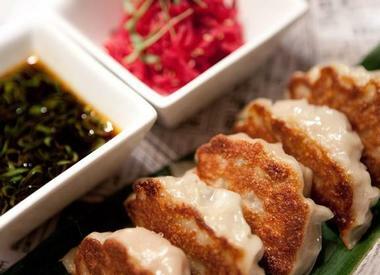 Executive Chef Hide Sueyoshi runs the kitchen at Umami, and you’re guaranteed to appreciate whatever dish he whips up. You’ll find this restaurant nestled between the Marina District and Pacific Heights. James Beard Award recipient State Bird Provisions is a contemporary American restaurant with an ever-changing menu consisting of dishes made with fresh, seasonal ingredients. Stop in and try sophisticated dishes like the Padrons with Cumin-Goat Cheese Fondue, the Charred Octopus with Kampot Peppercorn and Tomato Sauce, or the California State Bird with Provisions (an incredible quail dish). What started as the creation of a recipe for California Valley Quail (the State Bird) eventually evolved into a restaurant, which Chef Stuart Brioza and Pastry Chef Nicole Krasinski opened in 2011. 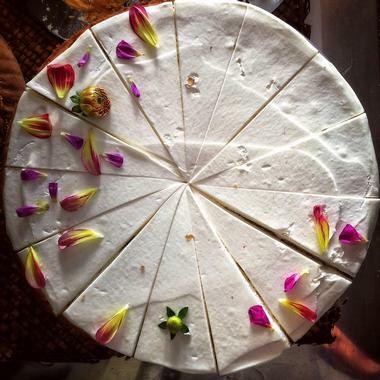 You’ll find this local favorite in San Francisco’s Western Addition neighborhood. 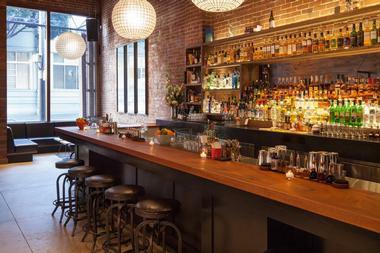 Forgery Bar is one of the newest and hottest bars in San Francisco. Enjoy the chic, lively atmosphere while you glance through their wide selection of expertly curated cocktails, all of which have unique names like the Cool Runnings and the El Vampiro. They also boast an expansive by-the-glass wine list. 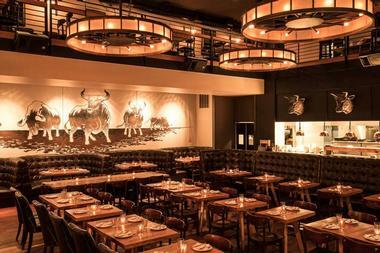 The bar is a new endeavor of the PlumpJack Group, and it first opened in 2015. Seasoned partners Ken Luciano and Jacques Bezuidenhout manage Forgery Bar, and they’ve managed to create something truly spectacular. Forgery is located in the Mid-Market District, in the up and coming Tech Corridor. Tony’s Pizza Napoletana is the home of Tony Gemignani, who has won the World Pizza Cup eleven times! His restaurant is the place to go if you want to try some of the best pizza in the whole world. 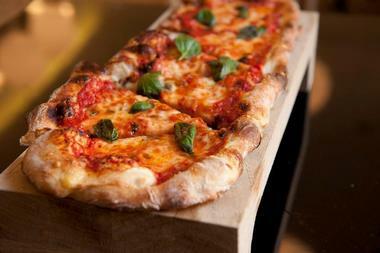 All ingredients are authentic and imported from Napoli. They offer every kind of pizza you could imagine (but keep in mind that Tony did win the award for Best Margherita Pizza in the world). They also offer a number of authentic Italian dishes such as Pasta Genovese or the Sausages and Peppers. 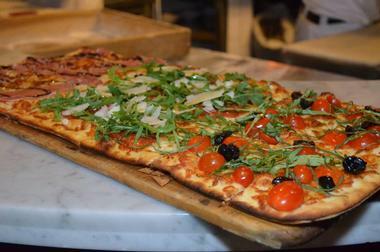 Tony’s Pizza Napoletana is located in the heart of Little Italy. 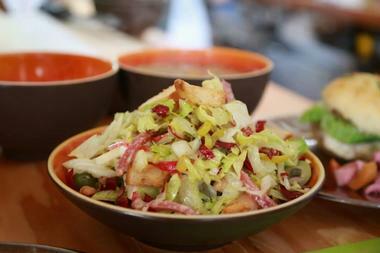 B* Star is a Burmese-inspired eatery serves delicious, healthy Asian fusion foods with flavors from Thailand, China, Burma, India, Japan, and California. Stop in for lunch or dinner and treat yourself to delectable options such as the Kabocha Croquette, Kau Soi (coconut chicken noodles), or the Curry Tofu Portobello Sammy. 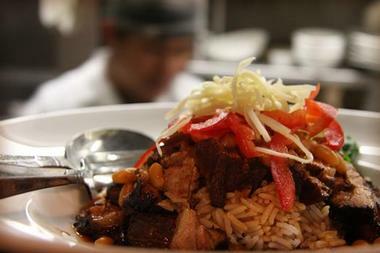 Their weekend brunch menu boasts savory dishes like the Filipino-style Longganisa Breakfast. B* Star is located in San Francisco’s Richmond District. 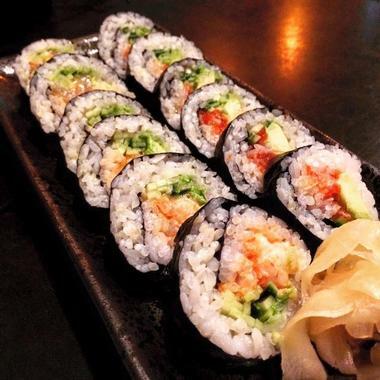 You may also like the sister restaurant Burma Superstar. If you’re in need of some genuine Southern comfort, Brenda’s French Soul Food is an excellent choice. 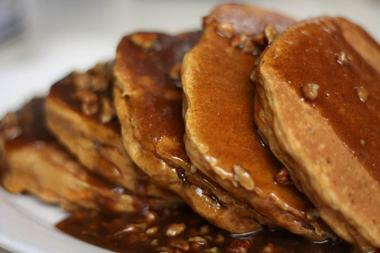 After you stop by, you may decide that they serve the best breakfast in San Francisco. Relax in the warm, casual atmosphere as you savor the sensational deliciousness of dishes like Chicken Sausage & Okra Gumbo or Smoked Pork Rillettes. Stop in for breakfast or brunch and try the “Nice Big, Fluffy Buttermilk Pancakes.” You definitely won’t want to pass up on the Hushpuppies! Chef Brenda brings her Southern roots and passion to the kitchen. She opened the joint in 2007 with her lovely wife Libby. You’ll find Brenda’s French Soul Food in the middle of San Francisco’s Cathedral Hill, Civic Center, and Tenderloin neighborhoods. Wise Sons Jewish Delicatessen offers traditional Jewish comfort food in a number of eateries and farmer markets in the San Francisco area. 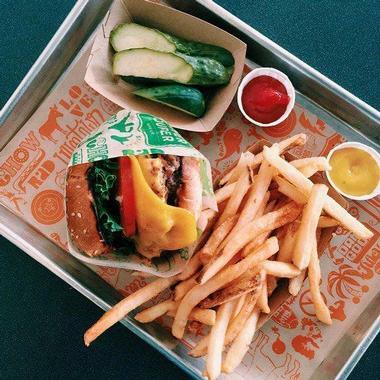 Their flagship store is located in San Francisco’s Mission District, where you can stop for breakfast, lunch, dinner, or a takeout. Get the best pastrami or corned beef sandwich on the West Coast on delicious, real Jewish rye bread made with organic rye. Try their babka with incredible Guittard chocolate and sweet butter. Their smoked salmon sandwiches are made with juicy smoked salmon and double whipped home-made cream cheese. Their bagels, like all their pastries and breads, are made in their own off-site bakery and are boiled in malt water before going to the oven to be baked. 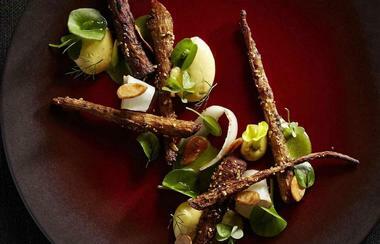 Saison restaurant serves New American cuisine in a refined, modern setting. Saison is French for season, a name they chose to represent their commitment to a menu that evolves with the diverse flavors associated with each individual season. The multi-course tasting menu changes nightly, encouraging diners to completely trust the Chef. Executive Chef and owner Josh Skenes have taken charge of all culinary activity, earning Saison a three Michelin star rating. Enjoy the dish of the night, which is always made with superior and fresh ingredients. Saison is located very close to San Francisco’s China Basin. A restaurant and wine bar, Bouche features dishes created with fresh, natural ingredients from Northern Californian farmers’ markets. The chefs rely on French and Mediterranean influences. Savor incredible dishes such as the Grilled Confit of Pork Belly, the Wild King Salmon cooked in Bay Leaf Butter, or the Poached and Roasted Chicken Breast. Don’t miss the homemade bacon bread and chickpea fries. Owner and Provence native Guillaume Issaverdens hand selects the esoteric French wines the make up the wine list. He first opened the restaurant in 2011. Bouche is located on the edge of the Financial District. 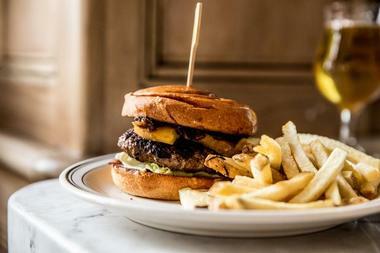 Bar Tartine serves seasonal cuisine with an exotic flare in a sophisticated setting. 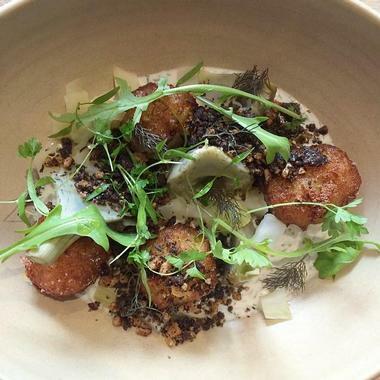 Their menu changes daily and offers bold, traditional flavors from Jutland, Hokkaido, and Budapest. Everything blends together perfectly, creating a delicious meal. Try amazing dinner dishes such as the Black Cod with Chantrelle Mushrooms or Chilled Plum Soup with Noyaux. Alternatively, you can stop in for weekend brunch. They also serve beer, wine, and dessert. Bar Tartine is owned by Tartine Bakery & Café husband-and-wife team, Elisabeth Prueitt and Chad Robertson. Chefs Cortney Burns and Nick Balla are in charge of the kitchen, ensuring every dish comes out just right. You’ll find Bar Tartine in the heart of San Francisco’s Mission District. 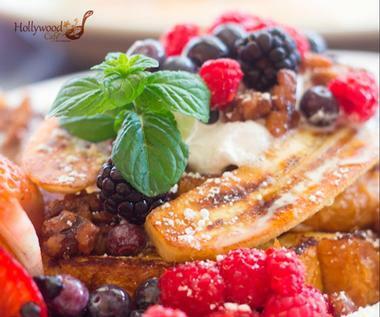 The charming Hollywood Café serves up delicious American diner-style lunch and breakfast daily. They offer several breakfast specials named after classic Hollywood celebrities such as the James Dean. Any one of their dishes is guaranteed to be incredibly flavorful – take the Salmon-Shrimp Eggs Benedict or a Charbroiled Cheesesteak Burger as examples. Don’t miss out on the opportunity to try their delicious signature hash browns! Hollywood Café is located in Fisherman’s Wharf and does not accept reservations. 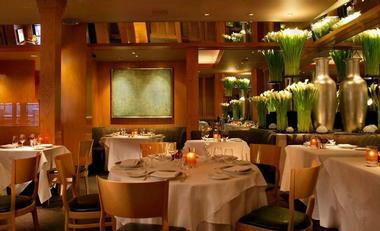 Restaurant Gary Danko serves New American cuisine with French and Mediterranean influences in an elegant setting. Their Prix-Fixe menu offers exquisitely prepared dishes like the Horseradish-Crusted Salmon Medallion, and recommendations for wine pairing are available. The nightly menu boasts delicious creations like Roasted Stuffed Quail and Herb-Crusted Loin of Lamb. Tea service is provided with every meal and an expansive selection of cheese from their cheese carts is also available. Naturally, they have an extraordinary wine list. Opening this restaurant was the dream of internationally recognized, highly respected, award-winning Chef Gary Danko, who opened his restaurant in 1999. Restaurant Gary Danko is located in Fisherman’s Wharf. The Tartine Bakery & Café is one of the best places in San Francisco to grab a coffee, buy bread and pastries, and have breakfast. They use as many organic ingredients as possible and the menu, which uses produce and ingredients that are in season, changes frequently. Stop in and try amazing treats like the Coconut Crème Tart, the Quiche, or, if you’re a little hungrier, a Jambon Royale & Gruyere Hot Pressed Sandwich. Tartine Bakery & Café was opened in 2002 by husband-and-wife team Elisabeth Prueitt (an award-winning pastry chef) and Chad Robertson (a renowned, award-wining baker). 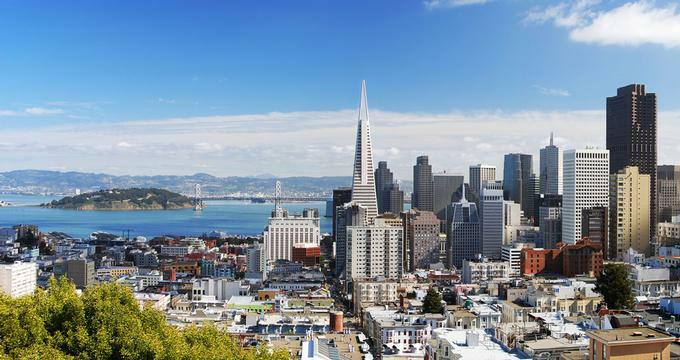 You’ll find them in downtown San Francisco, nestled between the Dolores Heights and Mission District neighborhoods. 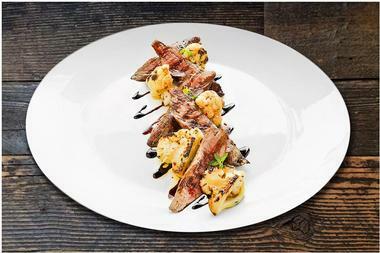 Quince Restaurant serves contemporary Californian cuisine that benefits immensely from the regional seasonal bounty. Enjoy spectacular dishes such as the Triangoli (a Devil’s Gulch rabbit dish), King Crab, or Young Corn Fritto. They also boast an impressive wine list and a wide caviar selection. Chef and restaurateur Michael Tusk opened Quince Restaurant in 2003. He also owns San Francisco’s Cotogna restaurant. Tusk’s wife and partner Lindsay is the mastermind behind the interior design and has transformed Quince into one of the most elegant restaurants in the city. You’ll find it between the Embarcadero neighborhood and the Financial District.